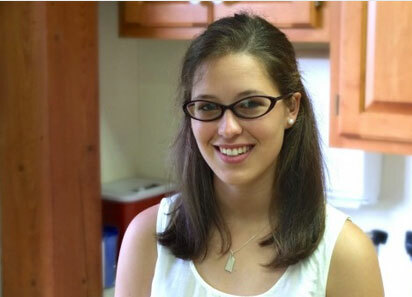 Abigail Benkert graduated from Franklin and Marshall College in 2013, with a Bachelor of Arts in Biological Foundations of Behavior: Neuroscience. Following graduation, she became the 2013-2014 Mary Ellen Avery Fellow at the Clinic for Special Children. During her fellowship, Abby studied the natural history and treatment options for congenital adrenal hyperplasia (CAH). As part of her research, she developed a clinical test to measure steroid levels and inform treatment plans for patients with CAH. At the end of her fellowship, Abby was hired as one of our full-time laboratory technicians and worked in this position until her matriculation at Tufts University School of Medicine in 2015. Abby joined us again for the summer of 2016 to research the developmental and behavioral aspects of cortical dysplasia focal epilepsy (CDFE; Caspr2 ) syndrome. Inspired by the physicians, nurses, families, and patients at the Clinic, Abby is training in rural medicine at TUSM and plans to incorporate all she’s learned while at the Clinic into her future medical practice.